Manufactured by Takeda Pharmaceutical Company Limited and co-marketed in the United States by Eli Lilly and Company, Actos is a medication that is prescribed with diet changes and exercise to help regulate blood sugars for patients suffering from Type II diabetes. 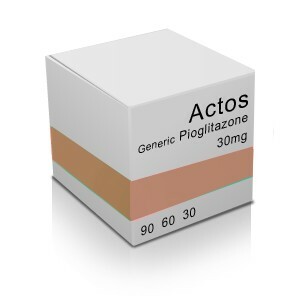 Prescribed in a daily 15 mg, 30 mg or 45 mg dose, Actos helps the body to be more efficient in its production, breakdown and absorption of blood sugars. When a person has too much blood sugar, the blood may become toxic to the organs, which are unable to use the sugar as fuel. Actos helps the muscles use insulin to absorb the needed sugar and keeps the liver from overproducing sugar. The Food and Drug Administration (FDA) has issued a warning, however, that “use of the diabetes medication Actos (pioglitazone) for more than one year may be associated with an increased risk of bladder cancer.” The FDA also stated that the Actos label and patient Medication Guide must be changed to reflect the potential risk of bladder cancer. This announcement in the U.S. followed a more aggressive approach taken in France and Germany, which have both suspended sales and prescriptions of Actos. The bladder is located in the center of the lower area of your belly, and is the part of your body that holds and releases urine. Symptoms of bladder cancer can include abdominal pain, painful urination, blood in the urine, urinary frequency, incontinence, fatigue and weight loss. Because there are many other conditions and diseases that can cause similar symptoms, it is important to see a doctor in order to rule out other possible causes. After performing a physical examination, your doctor may order diagnostic tests, such as an abdominal CT scan and a cystoscopy, which is a way to examine the inside of the bladder with a camera. Depending upon what is observed, a bladder biopsy may also be performed during the cystoscopy procedure. Additional diagnostic tests may include a urinalysis and a pelvic CT scan. If these tests confirm that you have bladder cancer, additional tests will then be done to determine whether the cancer has metastasized or spread. These tests are done to stage the cancer, as staging determines future treatment. Bladder cancer is often treated with what is known as immunotherapy. A vaccine, known as Bacille Calmette-Guerin (commonly known as BCG) is generally used during immunotherapy for bladder cancer. It is administered through a Foley catheter directly into the bladder in an effort to trigger your immune system to attack and kill the cancerous cells. Treatment may also include surgery to remove the cancerous tumor, surgery to remove part of the bladder, or surgery to remove the entire bladder. Chemotherapy is also part of the treatment, sometimes in conjunction with radiation. Painful and unpleasant side effects can accompany all of these treatments. Like many forms of cancer, how well a patient does depends on the initial stage of the cancer and the patient’s response to treatment. In addition to the association between Actos and bladder cancer, other exposures can increase your risk of developing bladder cancer. Cigarette smoking, chemical exposures at work, especially among dye workers, rubber workers and leather workers, have all been associated with an increased risk of developing bladder cancer. Ironically and unfortunately, chemotherapy and radiation may increase one’s risk of developing bladder cancer. The recalled drug attorneys at Suthers & Thompson are currently reviewing potential cases involving individuals who were diagnosed with bladder cancer after more than one year of use of Actos.